Just how important is depth? Why do objects sink at different rates? Ever hear statements like, 'gold is so-o-o-o elusive'? Read on; I think you will be pleasantly surprised with the knowledge of basic physics. There are so many misconceptions about these questions that I feel the urgency to clarify these questions. I too have heard gross statements / fallacies / misconceptions AND coming from reasonably intelligent people to boot! If there is one word I want you to remember out of this article it would be, without fail, DENSITY! For the hobbyist it's moderately important. 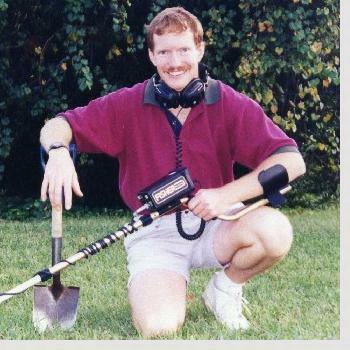 For the amateur or the professional detectorist it is critical. Recently, I went to the beach to perform a comparison test between two leading brand detectors. My test target was a woman's simple gold band of medium thickness. I had about 35 inches of thin dental floss tied to the ring so I would not lose it. I dropped the ring on the wet sand (holding on to the floss), set my shovel down, placed the headphones on my head and set the controls of the detector. Now, I was ready to dig a measured depth hole in the sand to bury the ring. When I looked down at the ring, it was gone! As I held the floss with only a slight amount of slack, I watched the ring sink slowly to a depth of 23 inches before it stopped sinking. Why did it sink? What made it stop sinking? Was this an unusual, unique circumstance? This couldn't be a better example to demonstrate the principles of density. First, gold is a very dense material in relative comparison to other items we have here on earth. For a better understanding of density here is a correct illustration. Take the new United States clad dime. It weighs 2.27 grams. Now look at a United States quarter-eagle ($2.50 gold piece). It is nearly identical in diameter and thickness compared to the United States dime. In fact, it displaces the exact amount as the dime. But, the quarter eagle weighs 4.18 grams. That's nearly twice the weight! The gold piece has nearly twice the density as in comparison to the clad piece. Now, which identical size coin do you think would sink faster? ! ! Back to the ring on the beach. It weighs about the same as a dime and is about the same diameter. However, its surface contact area on the ground is dramatically different from a dime. The ring has a hairline thin circle of contact with the ground whereas the dime has about half-an-inch of surface area contact. The ring was sinking at a rate visible to the naked eye. Here is why; Due to the force of gravity, objects will sink in whatever medium they are in. This will continue until the level of density of the medium is the same as the object's density. OR!---Until the object comes in contact with another object in which its sink rate then becomes the same as the obstructing object's sink rate. The semi-liquid state of the sand on the beach is a much less dense medium in comparison to the ring, hence the sink-rate. At 23 inches deep, the ring came to rest. Why? The answer is "hardpan"! The ring hit a crushed shell/gravel layer at 23 inches within a time period of approximately 3 minutes. This is not an unusual circumstance by any means. Different areas may produce faster or slower results. A coin would take a bit longer due to its surface contact area and decreased density but would also eventually come to rest on the hardpan. A light aluminum pull-tab or a piece of foil has about the same density as its supporting medium (the wet sand) so it may never sink or can be found at any random churned depth. If you are at the beach and you are finding a lot of light/low density items such as foil or pull-tabs, MOVE! Move to other areas to sample until you hit medium density (coins) or high density (gold/lead) items to suit your interest UNLESS your shovel keeps finding hardpan just a few inches deep. Make sense? If you randomly go to the beach and you randomly hunt, your luck will be random. If you intelligently select your beach time, the laws of physics will overrule the so-called "elusiveness" of gold. What times are these? It is a known fact that violent storms will bring in large volumes of offshore sand and some good items; however, this is not the time to hunt. The high-density items will be out of detectable range. When sand is removed because of riptides or storms this increases the chance of hardpan exposure. It does not happen often but when it does, you will have some of the best detecting times of your life! Incidentally, depth has nearly no relevancy to the age of an item at the beach. A brand new penny can sink several feet deep in just a few hours. As long as your detector is capable of reaching the hardpan, only then does depth become "not so critical". Make sure that your detector can attain this depth then the key secret is detectable volume. An 8-inch coil will detect approximately one gallon of ground at any given time. Increase your coil size by just 3 inches (11-inch coil) and you will be detecting about 7 gallons of ground at any given time. Your finds will increase 7-fold. Target separation is very poor with a large coil but on a vast beach, area coverage is much more important and target separation becomes inconsequential. For the majority of us that do not live near a beach, unsuspectingly, depth is more critical than meets the eye. On a sacred piece of property known to produce good finds in Titusville, Florida I brought several pieces of equipment in the field to prove a theory. Equipment: a 5 inch coil, an 8 inch coil, a 10.5 inch coil, and a Fisher CZ6a metal detector. With the 5-inch coil I searched a 110 feet by 95 feet area of land. It took 2 days to complete, deliberately searching the land from 3 different directions. I found only 2 coins from the early 1960's at 8.5 inches deep. Keep in mind this property did not consist of any fill-dirt nor was the ground ever disturbed by machinery - it's virgin soil. I then switched to the 8-inch coil and duplicated my previous steps exactly. The coil change gave me an additional 1.5 inches of depth. At 10 inches I recovered two more coins, both from the early 1950's. Then I put the large 10.5-inch coil on the Fisher and with identical settings on the detector I searched again. This coil gave me yet another one-inch depth increase on a dime. Guess what? I recovered 17 coins just over 11 inches deep and one quarter at 13 inches deep! The 10-inch mark exposed coins from the early 1950's. 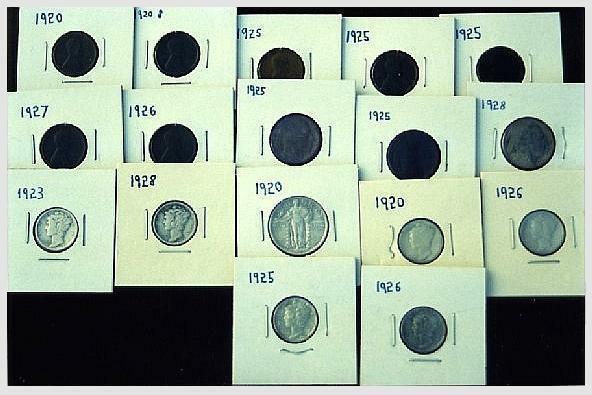 The 11-inch mark exposed coins, every single one of them, from the 1920's era. 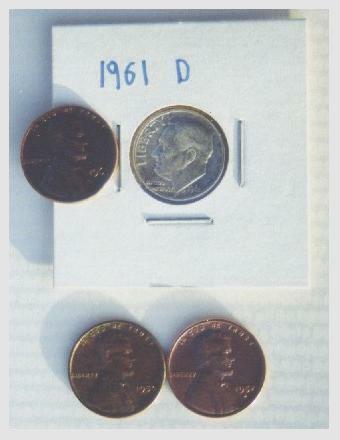 One-inch depth increase yielded coins 30 years older. Does depth matter? ! ! ! We're not finished yet! Weeks go by and somehow I damaged my detector, a fault of my own. Fisher repairs the detector and increases the sensitivity. Consequently, they also increase the stability of the unit to which I must say that I have never owned a detector with this much stability. With the 10.5-inch coil installed I, once again, searched the same 110ft by 95ft area. Certain the area was cleaned out; I soon realized my misconception. 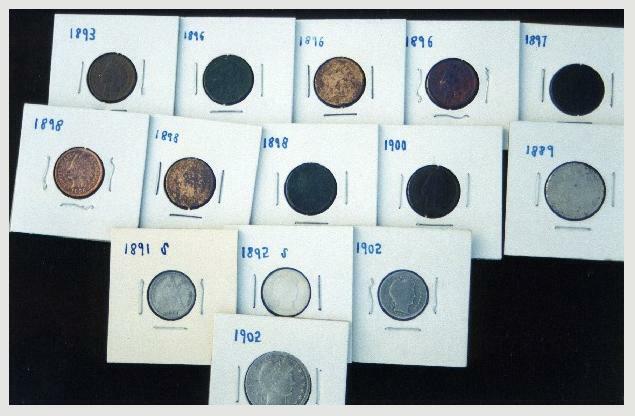 How about 14 more coins at the 12-inch mark and another quarter just over 13 inches deep, all from the 1890's era. Love is deep! ! ! And to solidify my test I reinstalled the 8-inch coil back on the detector and passed over 4 of the targets before I recovered them. With the 8-inch coil, I never even received a false chatter or any indication that a target existed. With the 10.5-inch coil, the signals were very weak but consistently repeatable. Yes, depth is "invisibly" critical. How do you know what you are missing, if you do not know that it even exists! As a coin sinks in the earth, the deeper it goes the slower it will sink because the dirt is more compacted at depth. Once again, the coin will stop sinking when it reaches the level in the soil that is compacted enough to equal the density of the coin; and that's deep! How many areas do you think you have passed over and missed good targets? I think that you would be startled if I were to tell you that the answer would be just about every time you turn on your detector. When your favorite manufacturer releases a new detector that goes a little deeper, you will have major things to look forward to. These coins were found using the CZ6a metal detector with first a 5 inch coil and then changing to an 8 inch coil. The 5 inch coil retrieved two of the coins at 8.5 inches, the 8 inch coil increased the depth searchable to 10 inches and two other coins were retrieved. The coins date from 1950 to 1963. These coins were found after changing over to a 10.5 inch coil. The 10.5 inch coil increased depth attainable by about an inch on a dime. These coins were retrieved from about 11 inches deep with the quarter retrieved at 13 inches deep. The coins date from 1920 to 1926. These coins were found a few weeks after the original finds using the 10.5 inch coil and after having the detector factory repaired by Fisher. Fisher had fine-tuned the sensitivity and increased depth by about 2 inches on a dime. These coins were retrieved at about 12 inches deep with the quarter retrieved at just over 13 inches.